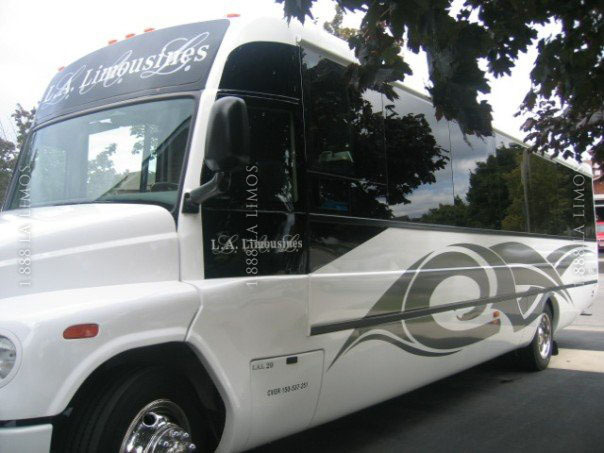 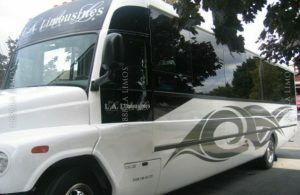 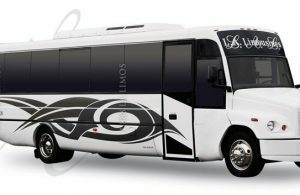 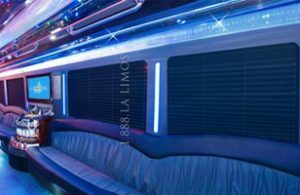 Exclusive to L.A. Limos – The latest in sophisticated features and amenities! 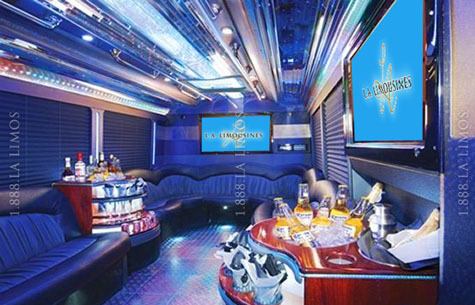 Our exclusive VIP Luxury Coach is packed with the latest tech and features to provide you with an unforgettable experience for you and your guests. Enjoy a video on one of the three plasma screens, get the party started right with our premium surround sound stereo system, star gaze at our ceiling and create a dazzling light and laser show as we deliver you to your destination.